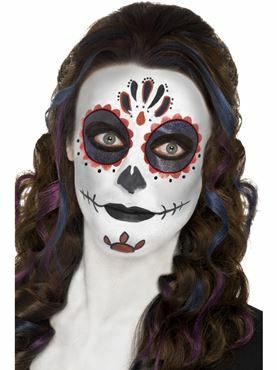 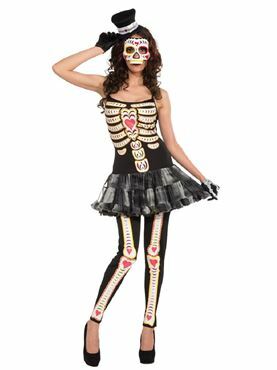 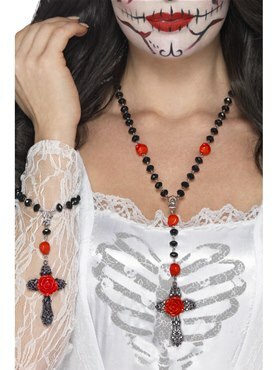 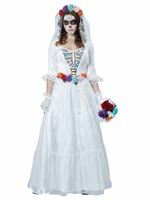 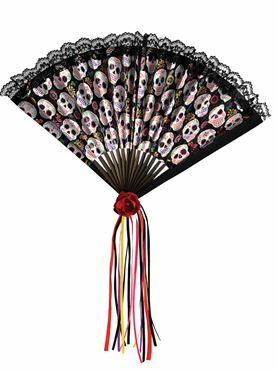 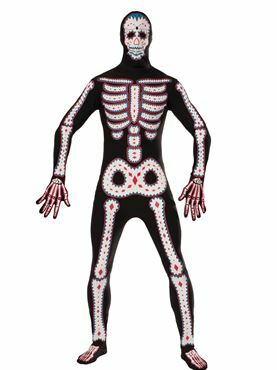 Our Adult Day of the Dead Tutu Dress Costume comes complete with the Black and Grey Strappy Tutu Dress featuring the Multicoloured Bone Print on the Bodice along with the Matching Pair of Footless Leggings. 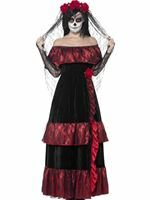 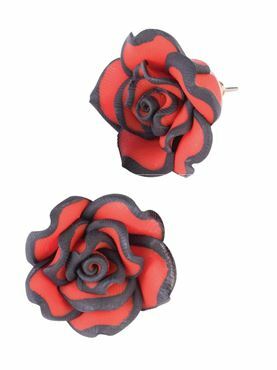 Completing the Look is the Mini Black Top Hat. One Size 10 - 14 28" - 32" 20" - 24" 24"